With this post I would like to share photos of only a few of the amazing displays this past week inHouston. I only wish that I could have taken photos of each and everything I saw at the show. 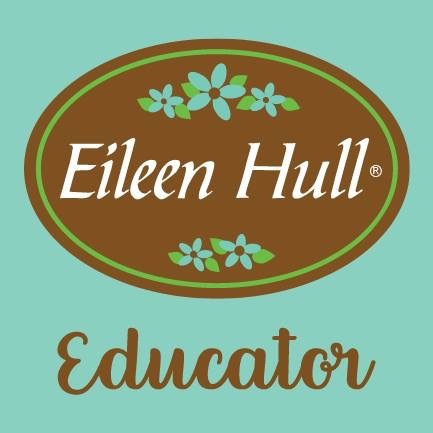 The designs, the colors, the textures, the techniques and the beauty of the quilts is something that I would like to share. Some things of interest seen at the show was a display called "Fabric Forest". Panels representing tree trunks hung from the ceiling. Twenty-one quilters from Germany made the 33 panels to look like trees from the Black Forest. There was a collection of antique quilts that are always something to see because of the fact that you know these quilts were entirely made my hand. (The first quilt to the left was part of this collection. A version of "Gramma's Flower Garden, made with small hexagon shapes.) 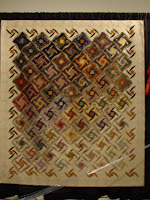 Another collection of antique quilts was titled "Text on Textiles: Words as design in antique quilts". 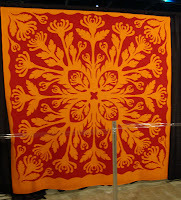 A display of 20 quilts from Russia were beautiful. 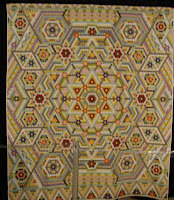 Kaleidoscope quilts by Paula Nadelstern were inspirational to see the manipulation of fabrics and colors. A wall of 32,000, 2 1/4 inch squares formed 21 panels that stretched a distance of 80 feet. It's title was "The Pittsburgh Friendship Quilt". There are usually a handful of exhibits that do not allow photos to be taken. 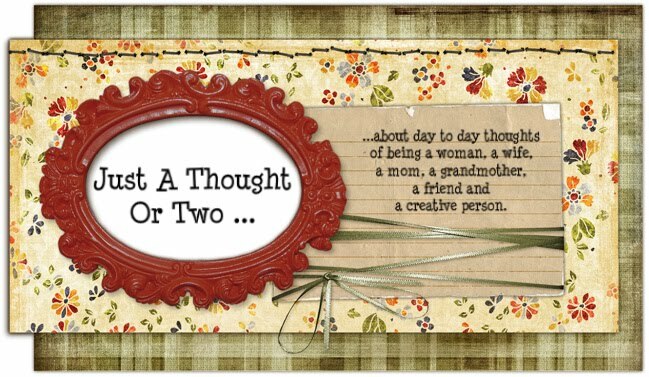 So unfortunately some of the above mentioned displays I was not able to share with photographs. Of course, there were way too many for me to photograph. They were all works of art! 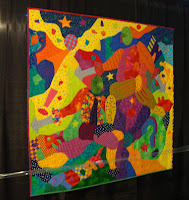 Besides the quilts there were a variety of wearable art pieces, a whole exhibit of handmade cloth dolls, numerous smaller art quilts and several award winners. 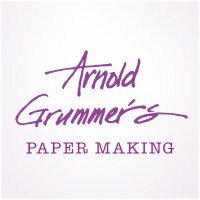 If you ever have the chance to attend one of the shows put on by Quilts, Inc., you should try, it's like walking through any other art gallery.